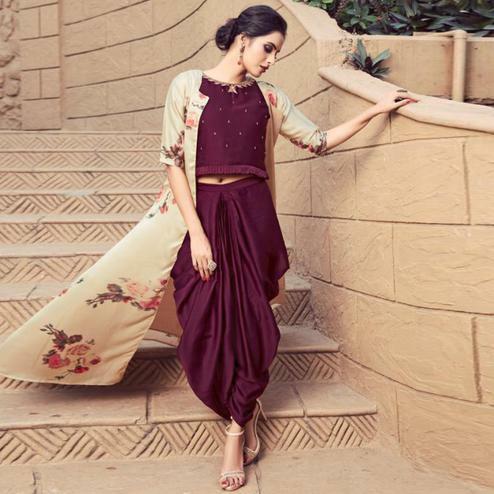 Bring out Gorgeous and stylishly traditional look to your appearance. Get adorned with this Semi Stitched high neck salwar suit and fulfill your desired look. 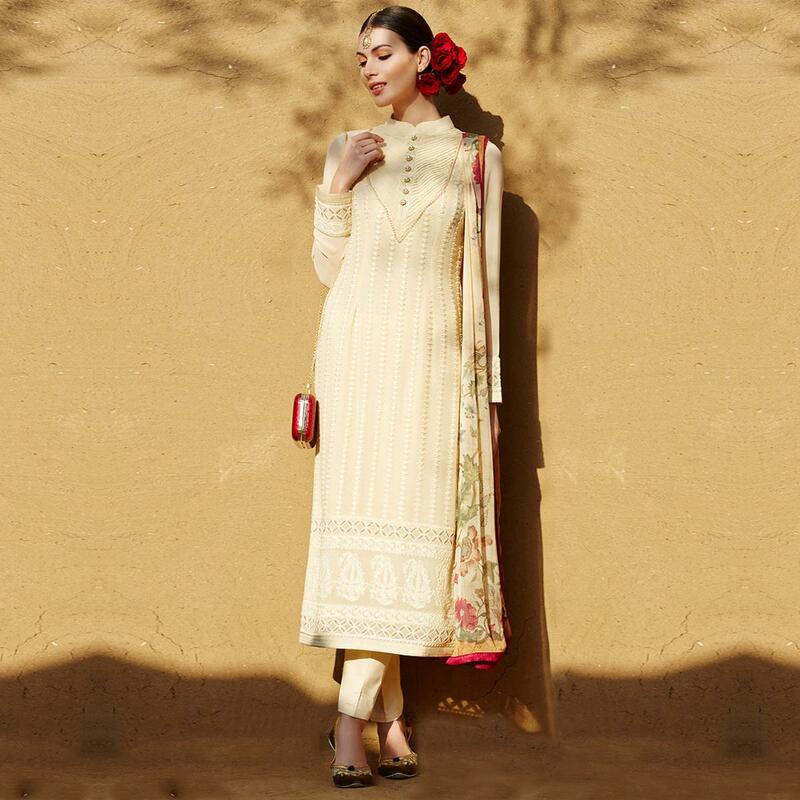 Cream net kameez is designed with heavy Embroidery. Comes with a matching bottom made of santoon.